Need AC service? We offer air conditioning repair, maintenance, and installation in Dunnellon, Florida. We install and service ductless air conditioning systems, also called mini split ac units, and have a variety of indoor air quality services available to our customers as well. 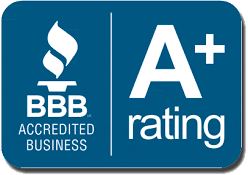 We’re the top rated Air Conditioning company in Dunnellon and we serve hundreds of customers in the area. When your air conditioner goes out, call Coast to Coast to get you back up and running fast! AC not working? At Coast to Coast Heating & Air, our technicians have the experience and knowledge necessary to properly troubleshoot and repair your air conditioner. We offer 24/7 emergency ac repair in Dunnellon, Florida. We also repair and service all makes and models of air conditioning equipment. We even repair pool heaters! Call us today to schedule your repair! For more information about how we serve your ac repair needs in Dunnellon, visit our ac repair page on our website! We even have discounts for new customers! Interested in upgrading your current air conditioning system or adding a ductless air conditioner? Maybe you’re building a new home and need your ac system designed with the properly size ac equipment and ductwork. At Coast to Coast, we do it all! We offer the highest quality ac installation in Dunnellon and its surrounding areas. Our Installers are rockstars that are not only experienced, but also have great attitudes and pay special attention to detail. We never leave a job site dirty and we always make sure you are happy when we leave. We offer free second opinions on major repairs and also free estimates to customers looking for an ac installation quote. To find out more about the types of air conditioners we install, visit our ac installation page! Let Coast to Coast Heating and Air complete your ac installation in Dunnellon. 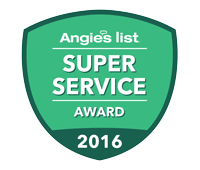 When was the last time you had ac maintenance performed on your home or business air conditioner in Dunnellon? Ac maintenance plays a vital role in maintaining peak efficiency, keeping energy bills low, and preventing premature catastrophic failures in your ac unit. We offer annual or biannual preventative maintenance packages to our customers. When you are a member of our biannual ac maintenance program, we give you additional benefits like 15% parts and labor on ac repair for your home or business in Dunnellon and priority service. Call our office to schedule your first preventative ac maintenance visit! For more details about our AC Maintenance program, click here. Serving All of Dunnellon's Air Conditioning Needs!